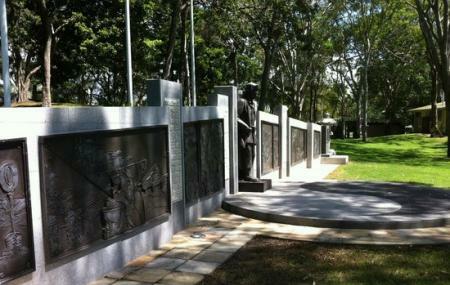 Find hotel near Queensland Korean War Mem .. The Korean War memorial is located in the northern section of Cascade gardens at Broadbeach. The memorial is in a beautiful setting, where the Republic of Korea and Korean communities residing in Australia contributed in raising the Queensland Korean War memorial. It is a tribute to the conventional war that happened between the United Nations supported South Korea and the China backed North Korea. It is a must visit site for the history and war study enthusiasts. The central sculpture of a Korean War era Australian soldier. A Series of 10 relief murals that represent the different forces – Army, Air-force and Navy. Original battlefield stones presented by the Republic of Korea. Almost all the displays have descriptions in both English and Korean on them.